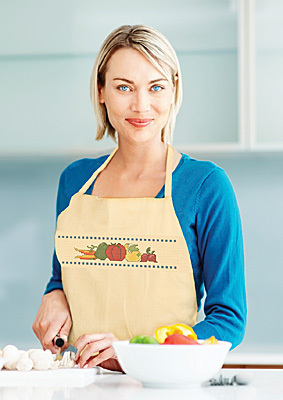 Janlynn's stitchable apron is ideal for cooking, crafting, gardening and so much more! Use our free chart design or a pattern of your choosing. Measures approx 19.5" x 29". Tie close. Includes a woven in design area measuring 11.5" x 3".